A bittersweet British comedy packed with delightful performances, Swimming with Men – hailed ‘The Full Monty in speedos’ – is a winning comedy drama, with Rob Brydon excellent as a middle-aged man who stumbles across a rather unusual way to try and deal with the issues in his marriage. Brydon plays Eric, an accountant whose life seems to be in order until in a moment of middle-aged madness he starts to think his wife, Heather (Jane Horrocks), is having an affair and he moves out of their home. He finds solace of sorts at the local swimming pool, where he ends up joining a team of similarly challenged men who form a male synchronized swimming team. Against all odds, they end up training for the world championships in Milan, with Eric hoping his wife will be impressed by his new skills. Can their coach, Susan (Charlotte Riley), whip them into shape? Will they master the flower, the pyramid and the spinning circle in time? More importantly, can Eric win Heather back with the help of his newfound confidence? A smart and funny comedy, Swimming with Men features lovely performances from Jim Carter, Rupert Graves, Daniel Mays, Adeel Akhtar and Thomas Turgoose as would-be synchronised swimmers, all of whom are using the sport to deal with their own issues. Swimming With Men has its UK premiere at the Edinburgh Film Fest on 1 July. Some tickets are still available – Book tickets. The film opens in UK cinemas on 6 July. The Infiltrator is released 13 July in cinemas in the US with more dates coming for the UK and worldwide. Daniel Mays stars as Frankie. Book tickets now ahead of the film’s release on 5 February 2016. Visit the official film site (DadsArmyMovie.co.uk) and facebook page for more about the upcoming release in 2016! Daniel Mays is Private Joe Walker in the Dad’s Army film that will be released in cinemas in 2016. 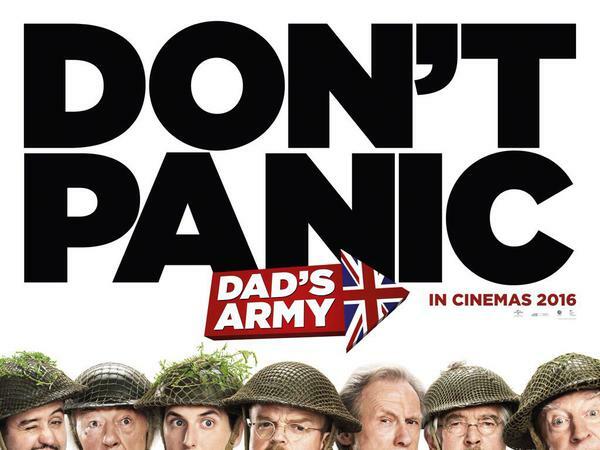 The Dad’s Army cast also includes Michael Gambon, Bill Nighy, Tony Jones, Tom Courtenay, Blake Harrision, and Catherine Zeta Jones, and many more!